Leogram experts are sharing the tips on how to make your Instagram bio look attractive. Read a simple instruction for bloggers and entrepreneurs. 1. Making a good bio on Instagram. Why is it so important? 4. 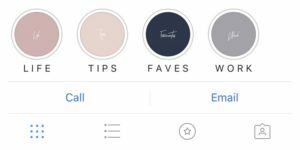 What has changed for Instagram bio feed in 2018? Making a good bio on Instagram. Why is it so important? Helps to find your profile in search, thus helping to bring new subscribers. It’s the first thing that a person sees when entering your page, and his or her decision on becoming your subscriber will be based on the info that they see. It has direct impact on the level of conversion of your visitors. 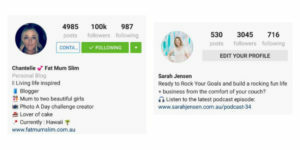 So all Instagram marketing experts advise you to spend 10-20 minutes for designing your profile correctly and creatively. But before this you should update your Instagram app up to the latest version. Thus, you will be able to make use of all the new features of the platform and won’t miss any possibility which is positive for your account promotion. Thinking of a nickname on Instagram, take the main thing into account – you need to make life of your potential client easier. Nickname must be as simple as possible, so that a person can easily find you on social network’s search. If your nickname is already complicated, change it for an easier version, which is also catchy and easy to remember. Is limited up to 30 characters, and is a very important information, for it’s getting indexed by Instagram search. This is the information by which other people can find you. Your profile name must be the most frequent search request, by which your potential subscribers and clients will be looking for you. One of the best idea is to use your real name, maybe simplifying it or shortening first name to one letter. In app settings this field is named ‘about yourself’. It’s limited with 150 chars. These couple of lines must be used to help your potential clients make a final decision. Use the language of your target audience. English is not always a perfect solution, especially for the countries where it’s not known by majority. Mention free ways to get in touch with you – WhatsApp, Telegram, Viber, local telephone number, etc. Make use of services for creating a single link for all the means of quick connection with you. Here you may add all your messengers, links to social networks or to your website. Add info on your latest sales and offers. For example, it may be information on sales for each client, some free services or tips that your clients are entitled to get. Leave a link to your website or landing page if you have them. A non-standard font is a way to make your account more recognizable and to make an accent on your main text. How to do it? There is a dozen of websites and applications specifically for this purpose. Highlights bar is a collection of stories, which are eternally reflected under your profile description. This is a type of Stories album, which you cam fox to your account. One album can have one or multiple stories. The most effective ways of using Highlights. Presenting a catalogue of goods and services – here you can create albums for special goods and services. Content categorization is especially actual for bloggers and for those who promote personal brands. If the number of categories is too big, you need to remind your subscribers what categories you have and to tell what you write in them. For this, saved stories can be grouped in albums. Important events – the ones you want to announce or the past events the info on which you want to share. Your personal info or info on your project. Answers to frequently asked questions from your clients. Best reviews of your clients. 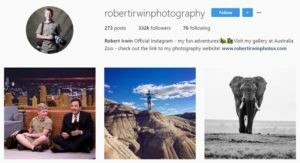 What has changed for Instagram bio feed in 2018? We have already mentioned that from 2018 there is a possibility to add clickable hashtags and links to profiles. This means that if a while back it didn’t make any sense to add hashtags or links than now they are really clickable and make up a valid tool for your business. If you are leaving a link to the other account, it has to be confirmed from inside of this other account. Hashtags make search through the account easier, and the link is added just with a @-sign.